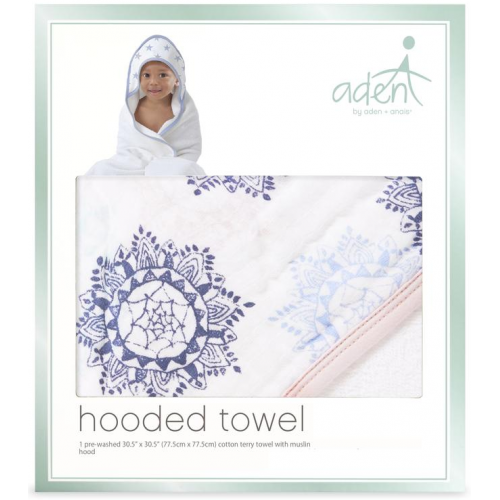 Keep little ones warm and dry with the soft, absorbent aden by aden + anais hooded towel. Made from plush cotton terry, the machine washable towel has a colourful muslin hood that makes bath time fun and cozy. Its generous size makes it ideal for both babies and toddlers. Your hooded towel will be a bath-time favourite for them, and an essential for you. Be sure to check out the matching washcloths! 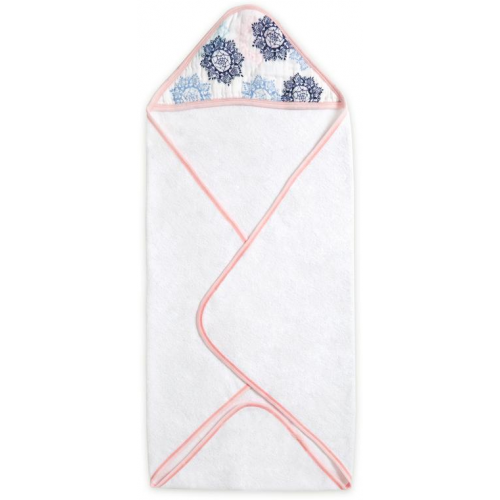 Includes 1 pre-washed 30.5” x 30.5” (77.5cm x 77.5 cm) cotton terry towel with muslin hood. Absorbent: muslin hood keeps little heads warm and dry. Generously sized: ideal for babies and toddlers. Cozy: made of plush cotton terry and soft cotton muslin. Practical: machine washable.